This year might be almost over, but there are still astronomical shows to watch. This month’s meteor shower is the Geminids, which has already started producing bright meteors on the night sky on December 4th. These will remain visible up until December 14th, but the peak of the event will occur in the night between December 13th and December 14th. The setting is perfect to offer us a spectacular show. When the Geminids will reach their peak, the night sky will appear particularly dark. The moon will be barely visible, as it will only be in the early stages of the crescent, while Jupiter will be situated somewhere south of this moon. The Geminids, just as their name says, come from the constellation of Gemini. The meteors should appear everywhere in the sky but, if you want to make sure you get the best view, it’s better to look south of the constellation. Also, it doesn’t matter where you live, as the shower should be visible anywhere. 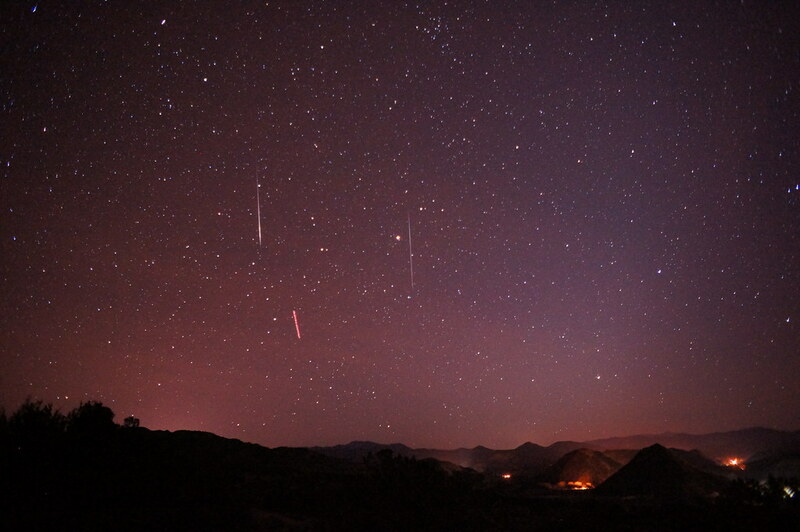 Usually, meteor showers are produced when the traces left by comets light up when getting close to Earth. This time, the Geminids are made up of asteroid debris. Once every 1.4 years, the asteroid 3200 Phaeton comes close to Earth. Each time, it leaves a trail of space junk behind. Every year, our planet passes through this field of debris, and the ice and rock pieces light up whenever they enter our atmosphere. The best moment of the night to view the Geminids is before dawn, but you can get a beautiful view of them any time after midnight. This meteor shower is one of the most active of the year, so you should get some of the most beautiful pictures of the year. Make sure you choose a place in the rural area, or where there aren’t many artificial light sources to disturb you, and enjoy the show. A mysterious planet kept baffling researchers since it was first discovered in 2009. This planet, called WASP-18b, is unusual due to its uncommon atmosphere which makes it hard for life to exist. It turns out the dominating component of this atmosphere is carbon monoxide, which is something scientists have never seen before. WASP-18b has first been detected in 2009 and, since then, scientists kept studying it. They observed the planet was different, and discovered it was the first they had ever seen with the atmosphere composed mostly of carbon monoxide. This means it’s impossible for water to exist on its surface, so life cannot be present there. Therefore, scientists chose the most suitable nickname they could ever find, namely the Death Planet. However, the carbon monoxide is the only element which makes the planet so deadly, as it’s only a regular cosmic object of the hot Jupiter type. At first, they thought it wasn’t much different from the planets of this type. Usually, the atmosphere of hot Jupiters is made up of all kinds of oxides which absorb the light coming from their governing starts. This light is preserved in the upper layer of the atmosphere, and it’s available for scientists to study. However, as soon as they looked at this light of WASP-18b, they noticed something different. It turned out the Death Planet had only carbon dioxide and carbon monoxide in its atmosphere. Carbon dioxide would have allowed for the presence of water, but researchers saw no trace of it. This is how they concluded most part of the atmosphere was carbon monoxide. This was an exciting discovery, since it was the first time when scientists observed an atmosphere based mostly on carbon monoxide which absorbed light. Therefore, they will continue their observations and try to put up a more detailed study of the Death Planet. The findings they have collected so far have been published in The Astrophysical Journal Letters. Looking at Earth from space will display a breathtaking show of brightly-shining night lights which are guaranteed to impress anyone. However, the more beautiful they look from up there, the more dangerous they are. As cities expand, night becomes less dark, and this can have terrible consequences on our environment. 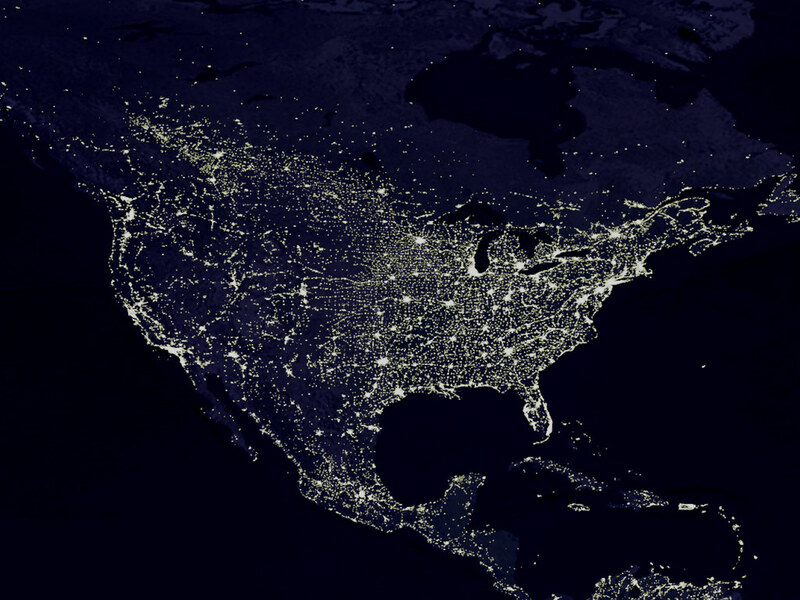 Year after year, Earth becomes brighter during night. While you might see it as a beautiful display of glimmers, the show is actually extremely bad for the environment. The quick expansion of cities affects night, which starts feeling less like a night and more like a darker day. There’s no need to mention this greatly affects animals and plants, which need a period of darkness and rest. To assess how acute this problem is, NASA used a radiometer to discover how bright are these night lights. This device also helped the scientists see how this brightness changed over time. Rich countries have become more careful with the environment, and switched from regular to LED lights, which are more eco-friendly. Therefore, NASA expected these countries to have turned less bright. Unfortunately, they noticed no difference, while some countries appeared even brighter than before. What is even more worrying is the fact that even poorer countries saw a development of night lights. There have been only two countries in the entire world with a decrease in the light intensity, Syria and Yemen, which are currently fighting wars. If the night becomes less dark, animals and plants have a lot to suffer. Nocturnal birds can no longer migrate properly, the activity of nocturnal insects gets disturbed and they aren’t pollinating properly, while trees from extremely bright areas bloom earlier than they should. Therefore, scientists call for a reduction of night lights before it’s too late. On September 15th, Cassini made its final journey around Saturn and bid farewell to us before plunging into the atmosphere and into self-destruction. Before ending its 13-year-long mission, the spacecraft used its wide-angle camera to capture the final shots of the ringed planet. Now, NASA combined all these photographs and produced one impressive image of the icy giant. This final image is the result of 42 individual shots taken with the wide-angle camera during the last part of the Cassini mission. To produce all these images, the cameras of the spacecraft used blue, green, and red spectral filters. With their help, researchers put together a comprehensive image of the entire planet, from one end to the other. The final picture doesn’t only contain Saturn in its entirety, but also six of its moons. These are Janus, Pandora, Prometheus, Mimas, Enceladus, and Epimetheus, but they are a bit too far away and faint to appear in the shot. Also, plenty of stars are part of the mosaic as well. Cassini took all these images as it was getting close to Saturn, and was at about 1.1 million kilometers away. Scientists have been preparing for this moment for a long time, and it comes like the climax of their efforts to explore one of the most interesting planets of the Solar System. This was the perfect way to end 13 years of study, and to celebrate the success of the mission. Cassini was launched in 1997, but reached Saturn only in 2004. Up until September 2017, the spacecraft kept orbiting the planet, taking snapshots of its surface, rings, and moons, and offering us new insights into its mysteries. A species of flies living in a Californian lake defies the laws of nature, as they don’t use their wings for flight. They have given up the air and chose living in water, which is quite an unusual behavior for a fly. In fact, they can breathe underwater without any problems, and can travel without even getting wet. Scientists have been baffled by these weird diving flies which live in Lake Mono, California. Therefore, they decided to start a study and find out how they can survive living in water and keep themselves dry. This is how they discovered that their body is covered in a water-repellent material which creates a bubble of air around them whenever they get into the water. Now you might think that air bubbles can easily be taken over by water currents. The smart mechanism of the creatures thought about it as well, so their tiny feet have small claws which get them hooked on the bottom of the lake. This way, they have perfect control over where they travel and how they move. Usually, dropping an insect into water means instant death. Also, Lake Mono is not the friendliest place that such creatures might choose to dwell. The water has a high concentration of alkaline substances, and the amount of salt contained in it is three times higher than the one in the ocean. Even so, the weird diving flies can thrive in it without problems. If the conditions of the lake are so harsh, it means that few other life forms live there. This also means there are few predators the flies have to fear, and can roam free and look for prey. The bubble formed around them leaves their eyes uncovered, so that they could see as they hunt. In fact, this is the only area on their bodies not covered by hairs. These hairs contain a special wax, which is the one that repels water and forms the air bubble around the flies. By finding out more about this wax, researchers might soon find out how to use it in other fields outside of biology. The study has been published in the journal Proceedings of the National Academy of Sciences. 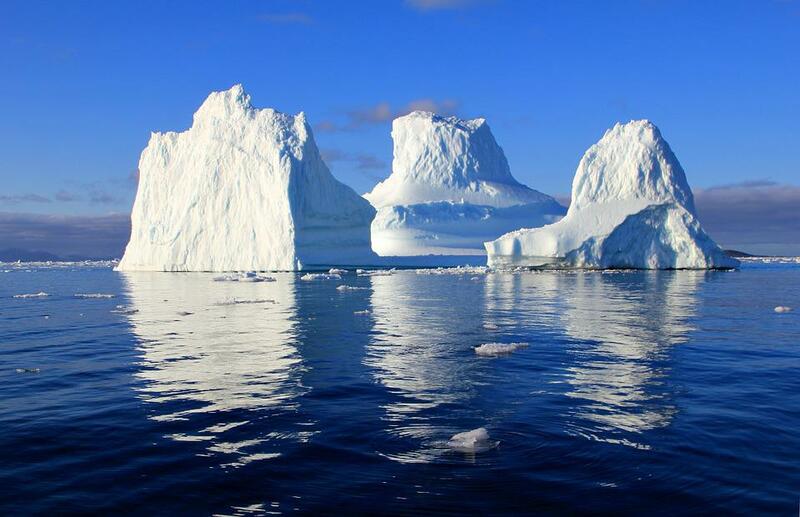 NASA released a technology which calculates a city’s risks of flooding depending because of icebergs. While NASA is majorly involved in investigating other planets, it also takes time to monitor issues affecting our own world. This includes the risks that melting glaciers have on the flooding of coastal cities. With the new Gradient Fingerprint Mapping (GFM) technology developed by the Jet Propulsion Laboratory (JPL) in California, researchers will be able to monitor different glaciers in Greenland and Antarctica and determine their particular “fingerprint” on the rising sea level. This way, NASA will be able to predict which glacier is likely to cause flooding in what major city. Information about the project was published last week in the journal Science Advances. NASA has already applied this technology to 293 different port cities around the world. For example, they have determined that both London and New York City are threatened by melting in the Greenland Ice Sheet (GrIS). However, the GFM points out that the former’s concern is with changes in the western region, while the latter should be wary of problems in the north. Still, the results can be surprising. For example, Sydney will be most affected by melting in the Amundsen Sea Sector, which is on the opposite side of Antarctica from Australia. At the same time, it will likely be safe from melting in closer regions. This is because the sea level around melting ice actually decreases, due to the ice no longer exerting gravity as much. “If you are close enough, then the effect of ice loss will be a sea level drop, not sea level rise,” said Surendra Adhikari, one of the researchers on the project, who works alongside Erik Ivins and Eric Larour. The latter explained their hopes that this new information will be able to teach us more about the effects of climate change on the rising sea levels. They are also hoping that this system will help cities devise the best measures to offset the threats of flooding that they might supposedly face. This weekend, the sky is preparing a new show for you to watch, so get ready for one of the most beautiful views you got to see. On Friday morning, stargazers will be offered a view of the Leonid meteor shower. The astronomic event falls just one day before the new moon, which will set the stage for a perfect viewing. Starting with the first morning hours on Friday, people will be able to spot the bright stars falling during the Leonid meteor shower. Next day, the new moon will be here, but the meteors will remain visible. Therefore, if you’re late on Friday and miss the show, you can still get a chance to enjoy it. However, don’t expect something big. The Leonid meteor shower is one of the smallest events of the type, so there will be an average of 10 visible meteors per hour. Also, this is not the only astronomic show of the month, as the Orionids will get here as well. Unfortunately, this shower is even smaller, with only 3 visible meteors per hour. The place of the Leonid shower comes from its apparent origin, namely the Leo constellation. However, the Temper-Tuttle comet is the real source of the meteors. The comet takes 33 years to perform a complete orbit around the sun. When this happens, the sky will display a rich and bright meteor shower. During regular years, the comet only leaves behind a trail of particles which is not so bright. The Leonid shower will be most bright between midnight and dawn, and should be visible mostly everywhere on the territory of the United States. However, if you want to see the shooting stars as clearly as possible, it’s best to choose a place where there’s few to no light pollution. Yesterday morning, the planets decided to reward those who woke up early by displaying a unique and rare show in the sky. The spectacle was provided by Venus and Jupiter, two planets situated extremely far away from each other. However, this time, they looked as if one of them appeared on top of each other. Venus and Jupiter are the brightest planets in the Solar System, so it’s usually easy to spot them in the night sky. What occurs more rarely is seeing both of them on the sky at the same time, so people should not miss such a show. This time, NASA spotted them at a distance of only 0.3 degrees from each other, which is less than a full moon’s diameter. This sounds like something really worth seeing, and some might have not gotten the chance to enjoy it. Fortunately, there’s still a chance, as Venus and Jupiter will remain close on the sky. Therefore, get up early this morning, and look for them about 45 minutes before sunrise. Unfortunately, the view won’t be as flawless as before, since they will no longer be as close to each other. What Venus and Jupiter will perform is called a conjunction. This event doesn’t occur rarely, but they usually don’t get so close. When they reach the closest point of the conjunction, they will appear in the form of a beautiful double star. The brightness of the planets will allow you to watch them without any special equipment. However, since the phenomenon occurs at dawn, be careful with the sun, and don’t look directly into it as it’s rising. If you still cannot watch the show of the planets, there were plenty of photographers who captured beautiful images of the conjunction. There is a frightening fungal parasite which infects ants, by taking control of their bodies and gradually turning them into zombies. Once an individual is infected, the spores of the parasite spread all over its body, and then can easily be transmitted to the entire colony. However, a new study revealed an interesting fact about this fungus. It turns out it doesn’t actually infect the ant’s brain. The parasitic fungus in question is Ophiocordyceps unilateralissensu lato or, in more general terms, the zombie ant fungus. Once it infects a creature, it automatically turns into a zombie ant. After the parasite gets infiltrated in the victim’s body, it surrounds all its muscles. There, it builds a complex network which can takes control of the muscles, so the fungus can manipulate any movement performed by the ant. Researchers say that, once the zombie ant fungus is inside the ant, it secretes a series of substances which alter the genes of the host. The traits expressed by the ant once it gets controlled by the fungus are actually an expression of the parasite’s genes. However, the mechanics behind this process remain unknown. Therefore, researchers decided to infect a series of insects with the zombie ant fungus, and see what happens. As a control group, they infected other ants with a different type of fungus. Afterwards, they constructed 3D images of both infections to see what differs. This way, they saw fungus cells all over the ants’ bodies, such as head, abdomen, legs, and thorax. However, there was one place they didn’t reach – the brain. This was extremely unusual, as researchers thought the zombie ant fungus used the brain to control the muscles. However, in this case, the fungus cells overtook the muscles directly. Therefore, they assumed the fungus kept away from the brain so that the ants could survive until they are assured they can reproduce and infect other individuals. The study has been published in the journal Proceedings of the Natural Academy of Sciences. Science tells us how humans and their ancestors kept getting taller while getting heavier at the same time. This seems like the logical thing to happen, but it hasn’t always been like that. A new research on the human ancestors which lived 1.5 million years ago revealed how they suddenly got taller while remaining slender. 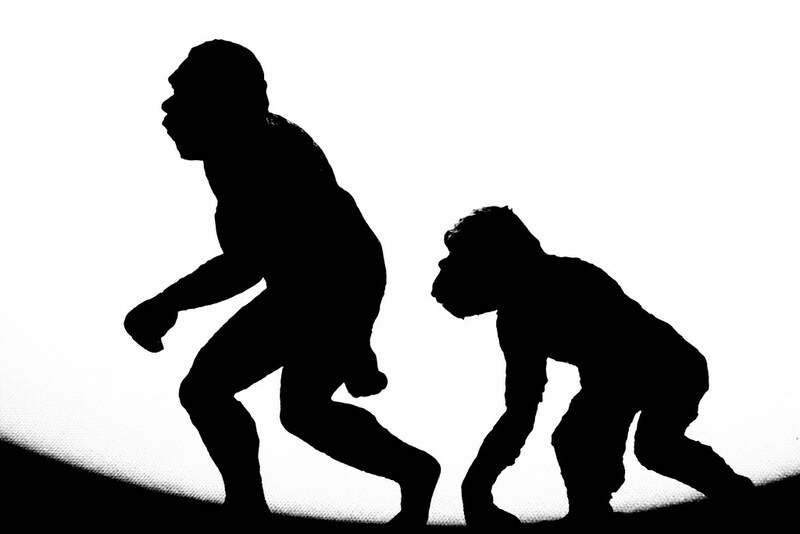 For this study, researchers analyzed the remains of 311 human ancestors which had already started walking up-straight. At a certain point in their evolution, the hominins gained four extra inches in height, thus becoming significantly taller than their predecessors. However, they also got slimmer. This change in evolution came as an adaptation to the environmental conditions, as well as the hunting conditions offered by this environment. Being taller but more slender, with narrower hips and longer legs, helped them move around more quickly, and also prepared them to move out of the forests to a more open landscape. At the beginning of hominin evolution, the specimens were sturdier and, if they got taller, they also got heavier. However, at a certain point during evolution, there came this disruption. Being heavier and stronger has many advantages, but being taller and slimmer is better during hunting over a savanna landscape. Studies showed humans adopted a technique called persistent hunting, where they chased the prey until they drove it tired. This was made possible only thanks to their longer legs and slender physique. Also, they could see further away across an open savanna, and the fewer amount of hair on their bodies allowed them to sweat more and get rid of the extra body heat. About 500,000 years later, the evolution intervened again. As the environment changed and they moved to a colder climate, they had to put on some weight so that they could retain more heat. All the details on this evolution have been published in the journal Royal Society Open Science.